When you hire All Comfort for your home’s air conditioning and heating needs, you should expect our signature red carpet treatment. From beginning to end our team prides itself on 100% customer satisfaction and service that goes above and beyond. Your information and call notes from the CSR will be fully dispatched to a highly trained and professional expert technician. Your tech will call you while they are traveling on their way to your home, so you know exactly when they will be arriving. Our technicians are background checked and drug tested before being hired. Therefore, you can rest assured that you will be meeting a safe, and trust-worthy technician for your appointment. When you answer your door, our technician will be standing there with a smile on their face, a clean, tucked-in, all white uniform, boot covers on their feet and standing on a red carpet rolled out at your door step. This is all done on every visit, to show our professionalism and respect for you and your home. Once you welcome our technician into your home, you will be asked to describe the problems you are having. Our expert technician will then be off to diagnose the problem by assessing your system. Before making any repairs, you will be informed of what the diagnosis is and what you can expect for the price. If you approve the proposed updates, the technician will then move forward with either making the repair or ordering your new system if need be. If the problem is a repair, the technician will work hard and diligently to get the repairs made that day. 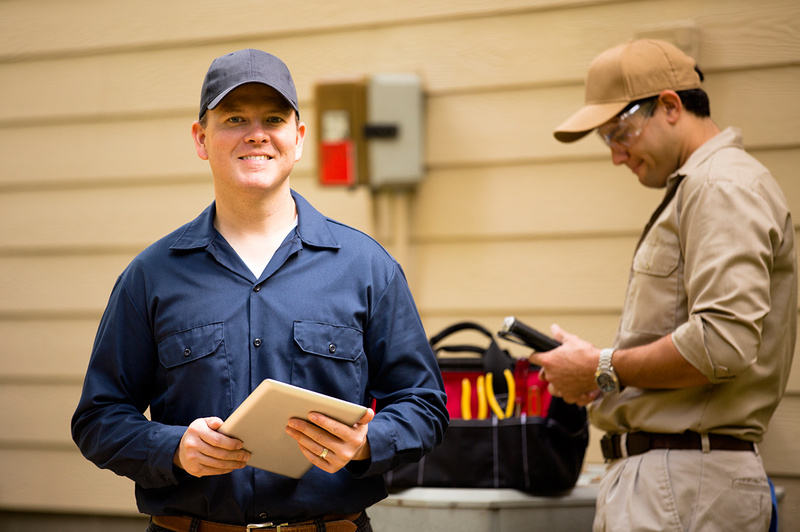 If you are ordering a new system, you can expect an install crew to be at your home based on when you schedule the installation. In most cases, this can either be a same-day install or an install within 24-hours, depending on our install schedule and equipment at hand. 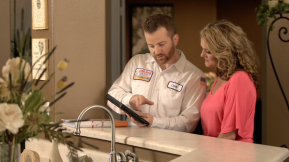 After the repair is made or the system is installed, your technician will wrap things up and leave you with a full explanation of how your repairs were made or how your new system works. You will also receive an invoice with descriptions of everything done that day. Finally, our tech will provide you with a review card, asking for your feedback on how we did so we can make sure you were 100% satisfied. If you were not, please let us know and give us a chance to make good. We live to please our customers and we want to make sure you are a happy All Comfort Heating & Air Conditioning customer. We look forward to working with you in the future and are excited for the opportunity to make your home another All Comfort home.